February 2018. On 7 February Simone Fulda was elected by the senate of Goethe University Frankfurt as vice-president for research and academic infrastructure. Her three-year term will start on 1 May 2018. Simone Fulda is a pediatrician and professor of experimental tumor research at Goethe University Frankfurt. Since 2010 she has been director of the Institute of Experimental Cancer Research in Pediatrics. From 2012 until 2018 Simone Fulda was also a member of the scientific commission of the German Council of Science and Humanities and was chair of its committee for research infrastructures from 2015. The German Council of Science and Humanities is the most important science policy advisory body in Germany. It advises the Federal Government and the governments of the German federal states on issues relating to the structure, performance, development, and financing of universities and other scientific institutions as well as on general issues regarding the system of science and higher education. The childhood cancer expert is well known for her research on apoptosis. She investigates why the normal cell-death programme does not function in tumour cells, with the aim to restart the programme through medication. She received numerous national and international awards for her research, incl. the German Cancer Award in 2014. 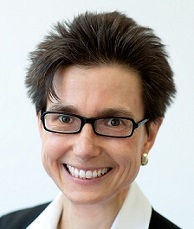 Before moving to Frankfurt in 2010, Simone Fulda held a Heisenberg-Fellowship of the German Research Foundation (DFG) from 2002 to 2007 followed by a DFG research professorship at Ulm University.